This cheese features a sweet and surprisingly complex flavor. 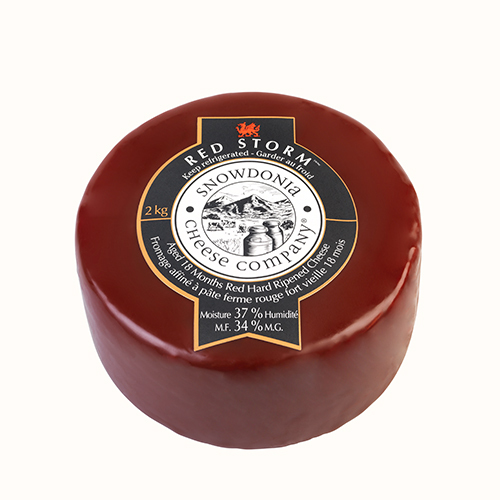 Mature Red Leicester cheese is enrobed in a deep rouge-colored wax, making it a striking display for the eyes and the palate. The maturity of the cheese has a slight crystalline texture, accentuating the nutty, slightly sweet flavor of the cheese.